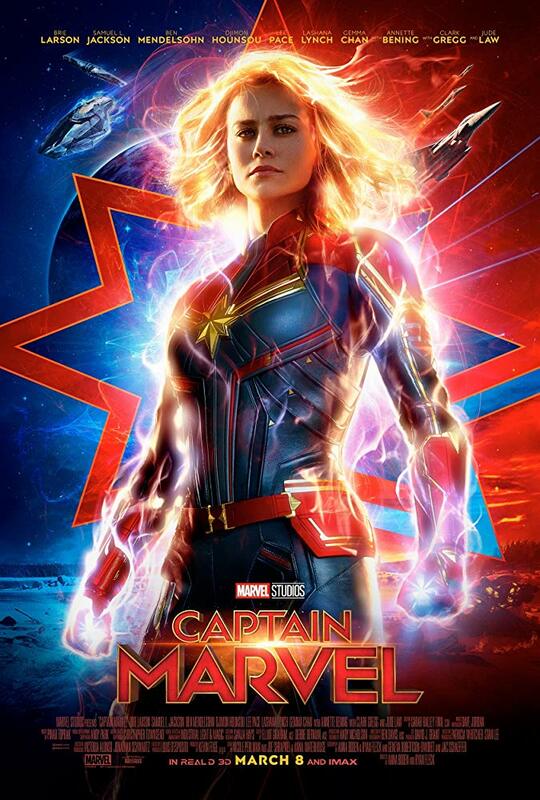 The forever lucrative MCU introduces its newest character in the form of Captain Marvel; certainly recognizable in comic book history, but perhaps not so much amongst general audiences. Regardless, the latter trait hasn't stopped the film from becoming yet another box office giant for Disney; though one that's been a mixed bag for many when it comes to overall quality, and to be fair for arguably justifiable reasons. 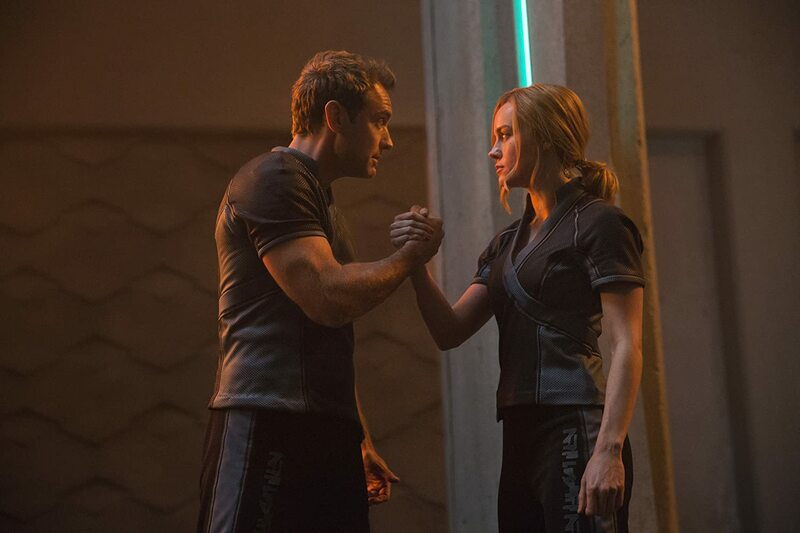 Captain Marvel stars Brie Larson as Vers, a member of the Starforce alliance within the Kree Empire, itself stationed on the planet Hala. Though persistently trained to master her strength and superpowers by her mentor Yon-Rogg (Jude Law), Vers repeatedly suffers from recurring, unexplained nightmares, as well as amnesia when it comes to her own mysterious past. This past begins to unfold and her powers themselves put to the test when she finds herself stranded on Earth, soon teaming up with S.H.I.E.L.D. operative Nick Fury (Samuel L. Jackson) to fight off the shapeshifting Skrulls, the primary enemies of the Kree Empire itself who seek Vers and her knowledge for their own seemingly sinister gain. Captain Marvel essentially takes us back to the beginning of this series; while of course Captain America's antics within the Second World War were a fair few years prior, this story establishes some key inspirations for the beginning of the Avenger initiative itself, influenced majorly of course by Nick Fury's starring role. It does thankfully have its own narrative depth, to an extent at least; and any outside backstory it does establish, from little touches to certain characters to crucial narrative elements, are nicely done for the most part. But as for the film's own central plot, it is regrettable that things don't always work as well, for it admittedly lacks focus; the characters themselves, outside of Vers and Fury, also lack any real development, which can often lead to many of their key motivations becoming somewhat unclear and poorly conveyed. Such flaws are most noticeable towards the end of the film when certain twists come into play; it's hard to elaborate on them without spoiling, but while the climax of the story does have good intentions with some of its plot twists, they're just not exceptionally handled. The cast itself is as superb as any Marvel film, with Larson and most definitely Jackson standing out nicely in their central performances, but while much of the supporting talent including Jude Law and certainly Ben Mendelsohn did their best with what they had, their roles ultimately came up a tad short due to forgettable characters; wasted potential at the end of the day. When it comes to action, the film's many vivid and fast paced set pieces forever dazzle, though perhaps lack a bit of tension when you eventually come to realize the evident invincibility of our main hero as she effortlessly slaughters all the moronic baddies without much strain or effort. This doesn't make said set pieces boring in any way, but maybe a little repetitive after a while. Captain Marvel is definitely funny; but it's occasionally guilty of daft, unwanted, and occasionally irritating gags during scenes that really don't demand them. It has moments of well executed and genuine drama, but this obsession with humour can result in some dramatic tonal shifts; it's a shame this emerges during the climax at times, disrupting some tense and potentially heartfelt moments. Perhaps I do make this film sound pretty poor, but it's a decent superhero experience for the most part. Fun, with great talent on board, and many noble ideas within the overall narrative; its key flaw is just how it doesn't execute many of these ideas in the best possible ways.